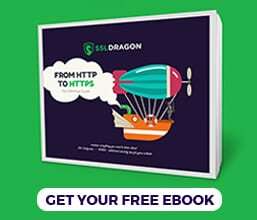 This guide provides step by step instructions on how to generate a CSR code and install an SSL Certificate on Pulse Secure SSL VPN. In the latter sections you will also find some interesting facts about Pulse Secure, and discover the best place online to shop for affordable SSL Certificates. If you’ve already generated the CSR code and received the SSL certificate on your email, feel free to skip part 1. Use the links below to jump between sections. 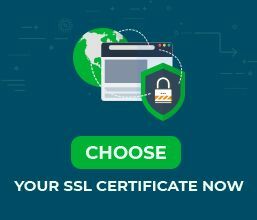 Where to buy the best SSL Certificate for Pulse Secure? Creating a CSR (Certificate Signing Request) is part of the SSL certificate application process. The CSR code is a block of encoded text with your contact details such as the domain you want to secure, and the company that owns the domain. Along with the CSR code, you will also generate your private key, which you’ll use later during the installation. Common Name: enter the FQDN (fully-qualified domain name) to which you want to assign your new SSL Certificate. For example, yoursitename.com. Random Data: enter some random characters to augment the random key generator. Congrats, you have successfully created your CSR code. You can see it by scrolling down the screen. Copy-paste the entire CSR code including the BEGIN CERTIFICATE and END CERTIFICATE tags into a Notepad document. Use the CSR code during the order process with your SSL vendor. After the CA signs your SSL Certificate and sends the necessary SSL files to your inbox, you need to download the ZIP folder and extract its contents on your device. Your intermediate certificate also referred to as CA bundle or chain file. Note: Some Certificate Authorities may send you more than one intermediate certificate. You will have to import them separately. Click Import CA certificate, and browse the location of your intermediate certificate file. If you have more than one intermediate certificate, repeat the process. Choose and add the relevant ports for your new certificate, then click Save Changes. Congrats, you’ve successfully installed your SSL Certificate on Pulse Secure SSL VPN system. After you install an SSL Certificate on Secure Pulse SSL VPN, you should run an SSL scan to look for potential errors or vulnerabilities in your configuration. For more info, check our article on the best SSL tools for testing an SSL Certificate. Pulse Secure, LLC is a Virtual Private Network platform specializing in mobile security products for enterprises and service providers. The SSL/VPN Pulse product family was initially launched by Juniper Networks in 2010. In 2014 it was spun-off to Pulse Secure, LLC. Pulse Secure offers fast, secure and optimized access to data center applications and cloud services across multiple devices. You can find the best SSL Certificate for your project and budget with the help of our exclusive SSL tools. The SSL Wizard can find the right SSL product for you, while the Advanced Certificate Filter can sort and compare different certificates by price, validation, and features.